I spotted this Kawasaki KLR 650 in Roche Harbor, Washington, yesterday. Earlier this year I posted about what great value this bike is for your adventure dollar. 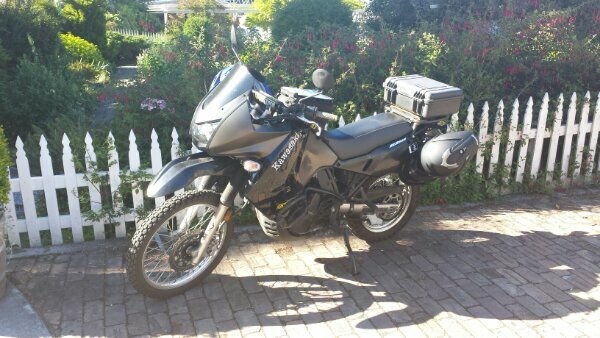 This one looks nicely equipped fairing, tank bag, and a pelican case. It’s nice to see these bikes out in the wild getting ridden.